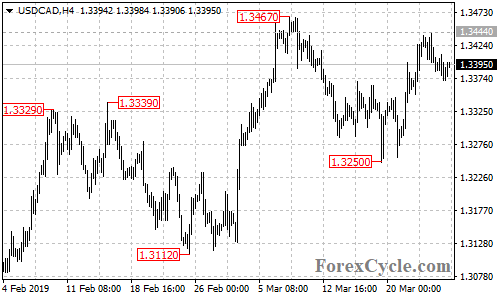 USDCAD’s fall from 1.3444 extended to as low as 1.3371. Deeper decline would likely be seen in a couple of days and next target would be at 1.3300 area. Resistance is at 1.3444, only break above this level could trigger another rise to test 1.3467 resistance.